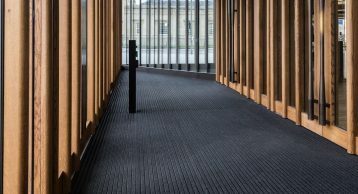 The Blavatnik School of Government is a global school pursuing a vision of a world better led, a world better served and a world better governed. It is one of the newest and most vibrant departments of the University of Oxford. 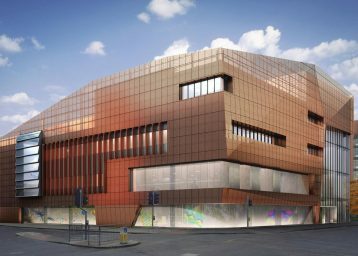 The school was founded in 2010, thanks to a £75 million donation by American philanthropist Leonard Blavatnik. The institute has developed an outstanding reputation for excellence in teaching and research and as part of the University of Oxford, they have a superb faculty that includes world-class academics and practitioners, as well as a team of up-and-rising postdoctoral fellows, who provide the backbone of research support for the School. Designed to support the School’s mission of inspiring and promoting better government around the world, internationally renowned architects Herzog & de Meuron developed the building. 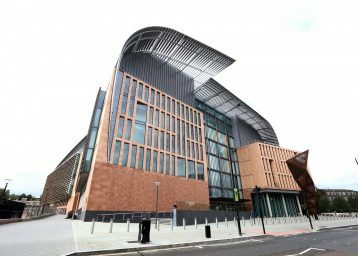 After becoming operational at the end of 2015, the building was officially opened by HRH the Duke of Cambridge in May 2016. The building is also renowned for the “Window to the world” which is the largest double glazed single pane of glass in Europe stretching in at 10.5m x 3.2m. 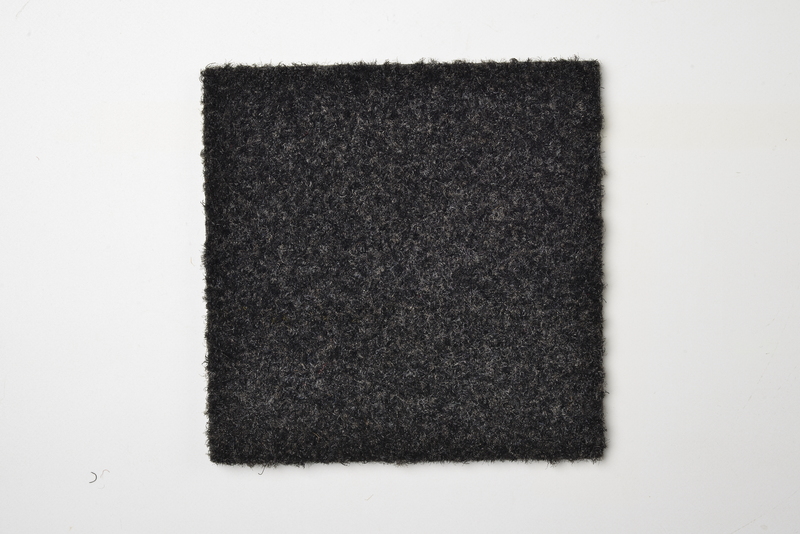 It is also expected to consume 49% less energy in comparison to existing UK buildings of the same size, therefore as a result it was awarded a BREEAM Excellent rating. 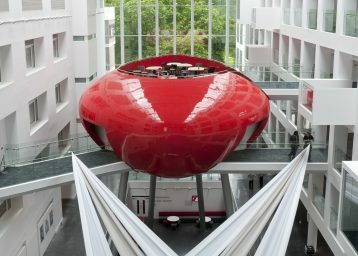 Blavatnic School of Government has also been awarded with several structural awards, RIBA awards and Engineering Project Awards. 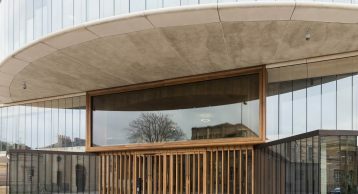 Journalists from The Guardian say, “its spiralling interior is one of the most uplifting spaces built in Oxford in a century” and the Oxford Mail call it “Oxford’s iconic architecture”. 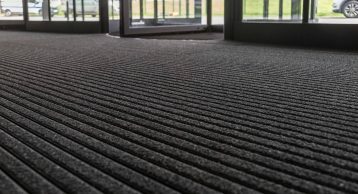 We could not be prouder in working with this Educational Institute and installing our flagship INTRAflex XT Entrance Matting to prevent the ingress of dirt and moisture into such a stunning building. 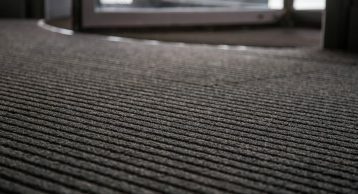 The system also keeps the occupant’s safe from any slip and trips and was chosen as it is ideal for high traffic locations. 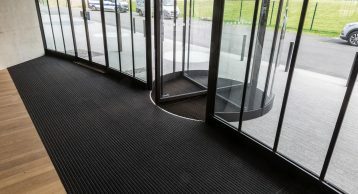 An irregular stack of cylindrical and horseshoe-shaped blocks makes up the curving glass form; this meant our entrance matting needed to be bespoke made to fit the curves and was fitted by expert installers. 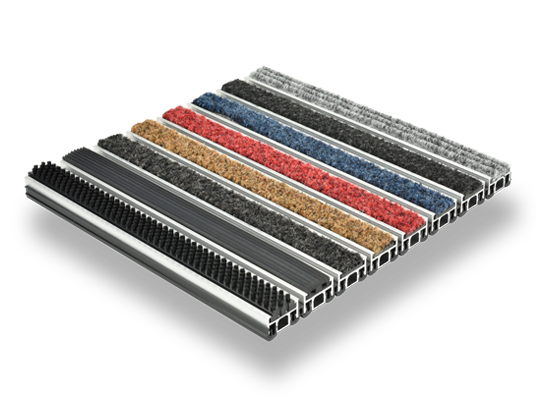 We worked with the architects in proposing a matting that complemented the design as well as the look and feel of the building. 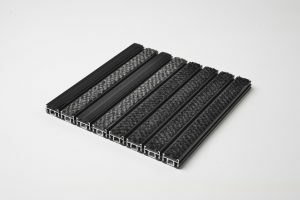 As a result, we choose the black anodised frame and black 608 elite polyamide inserts to add an architectural flare and increase longevity of the building. 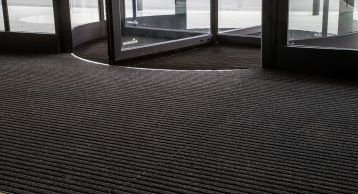 Our Entrance Matting is playing a crucial role in keeping people safe by preventing the ingress of dirt and moisture at Blavatnic School of Government. 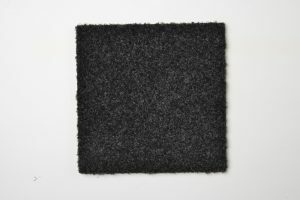 Contact us today to find out how our Matting can help do the same for you. Call us on 01425 472000 or email us on info@intramatting.com.